Just call me Badger Dog. He's not called the badger dog for nothing. That lovable little weiner dog sharing your home was bred to hunt those vicious weasels, animals that will fight to the death. Dachs means badger in German, and it's pretty easy to translate hund. In his doxie heart, he's still a hunter. Don't let his mild-mannered lap dog act fool you. There's a badger dog in every doxie, just waiting to come out. Let him out in the backyard and he'll chase every species of wildlife he sees, then start digging in case a badger lives under the deck. Doxies see cats and other small pets as prey, although the right cat can put him in his place. Be especially careful about bringing a kitten into the home with your doxie. Although doxies can do well in a family, especially if the kids are older and know to be careful of his long back, doxies tend to be one-person dogs. The dachshund bonds with his master, or whomever he perceives to be his master in the household, so that person has a short-legged companion following her everywhere. If you're the chosen person, make sure your doxie doesn't become overprotective and growls when other family members or friends get near you. Your doxie's a good little watchdog. No one's getting near your house without you knowing if he's around. However, sometimes he's barking his head off and no one is nearby. Well, maybe a bird landed near the window. There's that squirrel climbing up a tree. He'll warn you about everything, whether you want to know about it or not. Some good obedience training helps if the barking gets excessive. 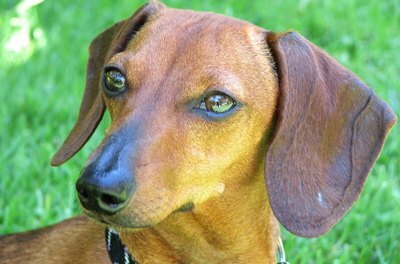 Your doxie's independence and stubbornness doesn't make him the easiest canine to train. They can be difficult to housebreak, or have "accidents" if something upsets them. This is not a dog who is likely to graduate at the top of his class in obedience school, but not because he isn't smart. He's a bright, active little guy, but likes to do things on his own terms. Patience on your part is key to training your doxie. Treats are a great motivator, but don't overdo it. It's important to keep a dachshund at a proper weight to reduce stress on his back. 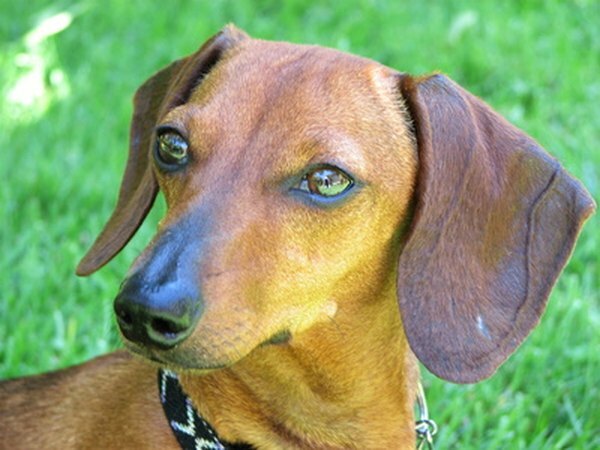 American Kennel Club: Dachshund Did You Know?